Many cetacean species are red listed as threatened. All cetacean species are thoroughly protected internationally. The Japanese government kills whales anyway. They call it “research whaling” and openly plan to re-commence official commercial whaling. Although the Japanese government calls their whale hunting “research whaling,” actually it is nothing but “commercial whaling”. 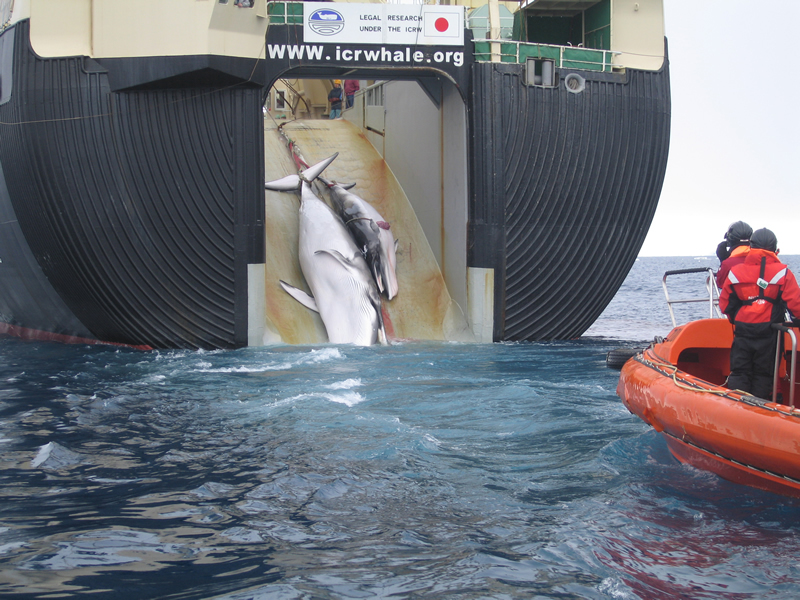 So why won’t Japan stop whaling? Pro-whaling politicians are afraid of the pressure from the world toward Japanese fishery in general. Japan is an insular country and seafood has been the main diet since ancient times, however, people from all over the world are starting to raise voices that if we continue eating fish, by the year of 2048 all fish and shellfish could be fished out. Naturally, people have started to say, “Stop eating seafood!” and that trend scares Japanese who love a traditional way of living, so the Japanese are desperately resisting this world-wide change, and do not wish to change their old habits. This means that Japanese believe that if they stop whaling, inevitably the world will start pressuring the whole fisheries business including widely consumed tuna and eels. 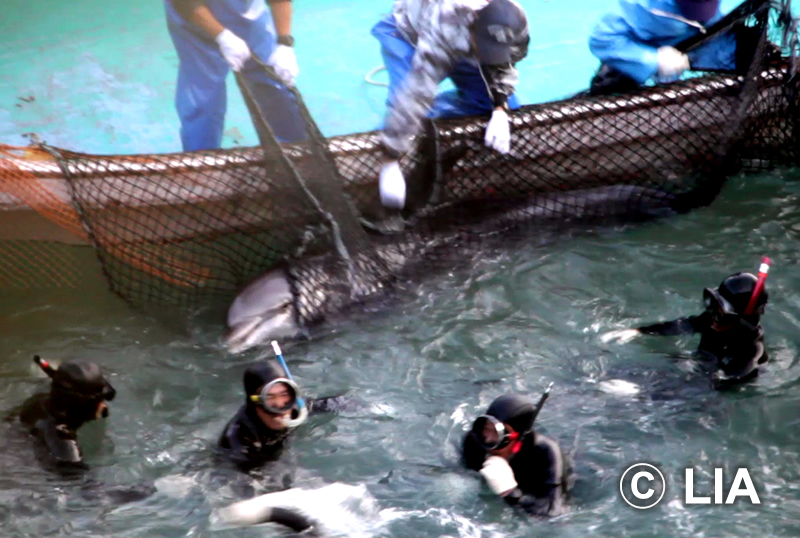 Did you know the fact that actually, capturing whales, dolphins, and grampus (Risso's dolphins), killerwhale, prohibited by the Japanese Fisheries Act in Japan? 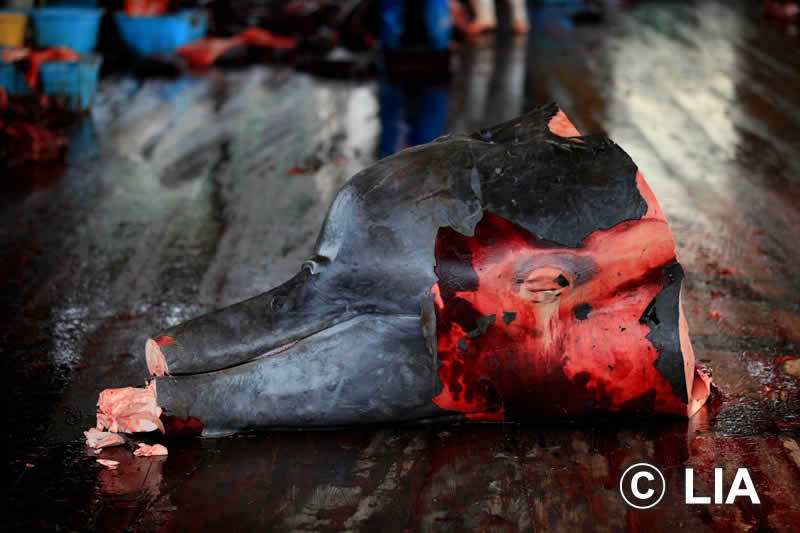 Fisheries Act (prohibition on any toothed whale fishery) According to article 82, 65-1 and also Act on the Protection of Fishery Resources article 4, clause 1, it is prohibited to conduct any fishery to catch any toothed whales. 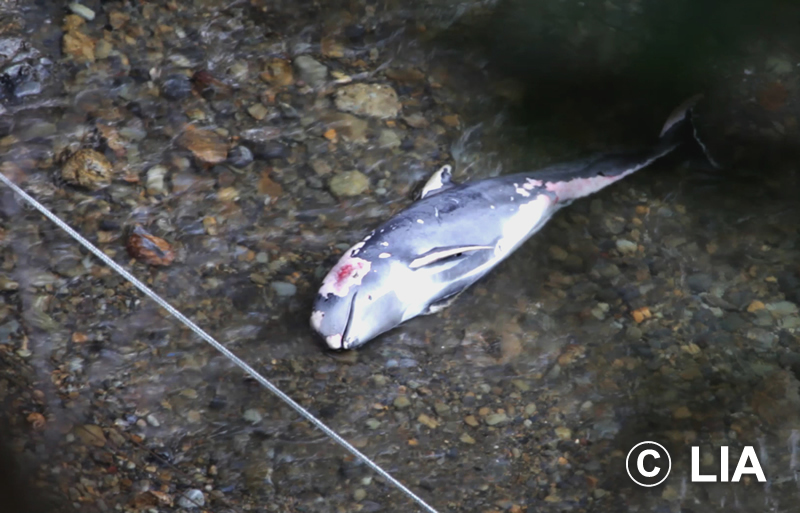 So why are Japanese killing dolphins and whales here in Japan? Hunting small whales (including dolphins) is NOT within the jurisdiction of the IWC, therefore, it is NOT PROHIBITED internationally. In nearby Japanese coastal seas, it is PERMITTED by international law to hunt “small whales” such as Baird’s beaked whales and Pilot whales. 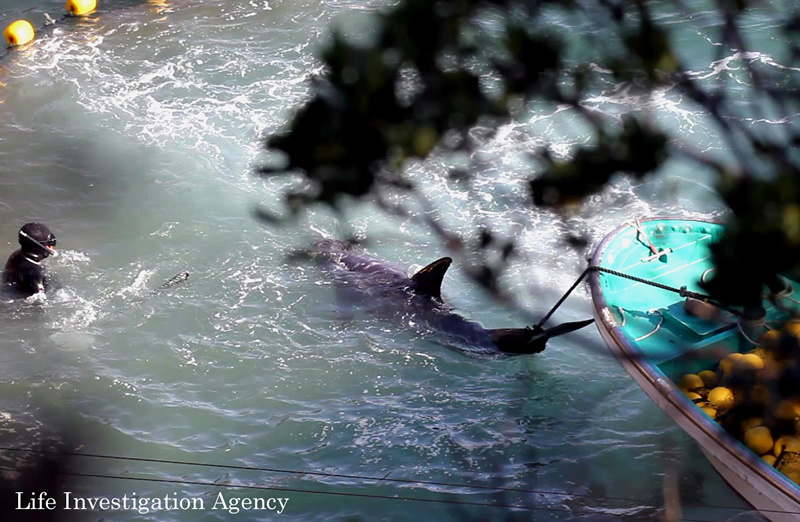 In specific Dolphin Fishery Areas, hunting is permitted of Dall’s porpoise, Risso’s dolphins, Bottlenose dolphins, etc. These Dolphin Fishery Areas are divided by the method of capturing between “Thrust-bar fisheries” and “Drive-hunting” and are allotted a limited quota. 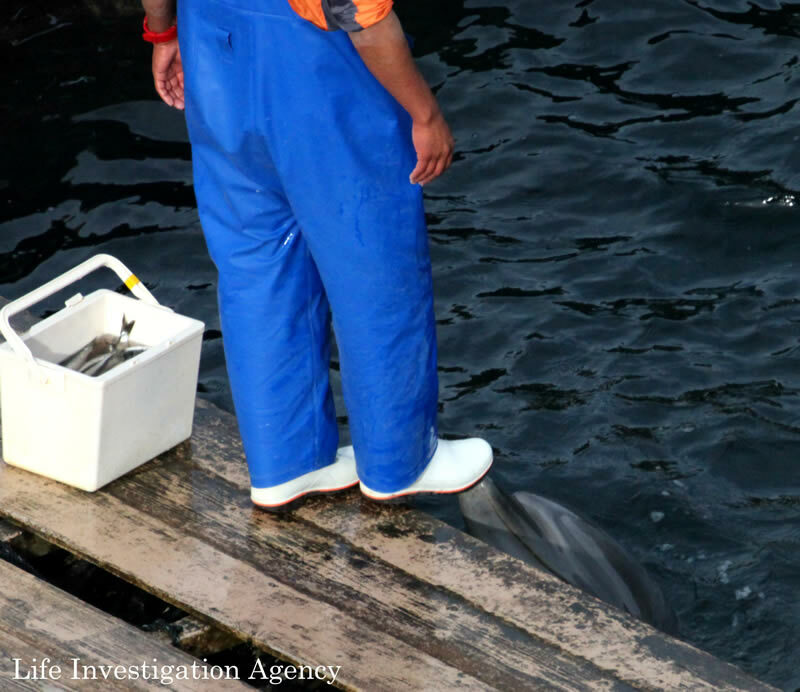 Currently, in Japan, cetacean hunting is conducted in only the following prefectures – Hokkaido, Iwate, Miyagi, Chiba, Wakayama and Okinawa. The governor of each prefecture is legally responsible for issuing permits according to Japanese law. 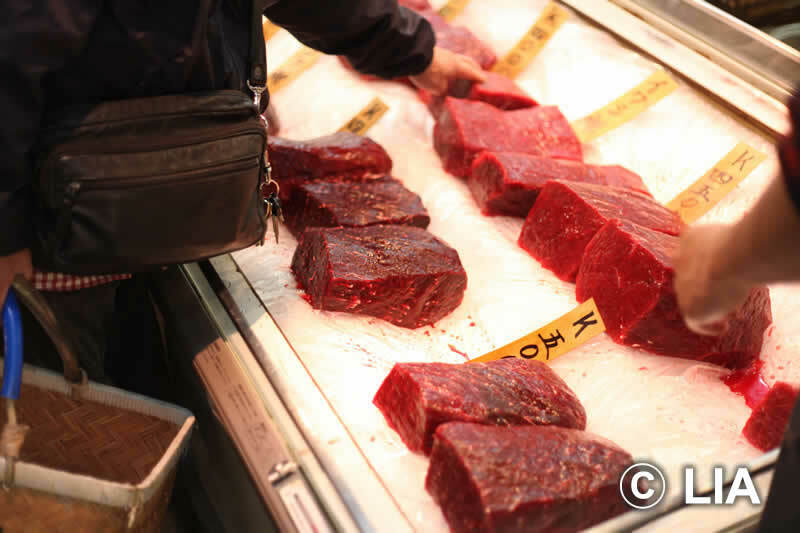 The demand of whale meat consumption is declining in the Japanese domestic market. 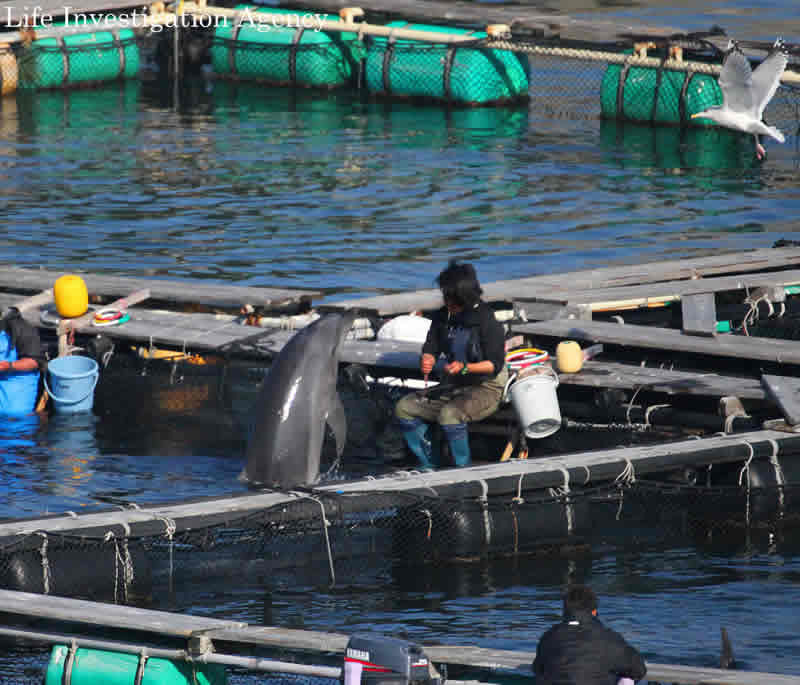 In Taiji town, Wakayama prefecture, people not only catch dolphins for food consumption, but also they train cetaceans captured alive at the notorious “Taiji Whale Museum” run by Japanese tax money and then sold to aquariums and dolphin show centers around the world. 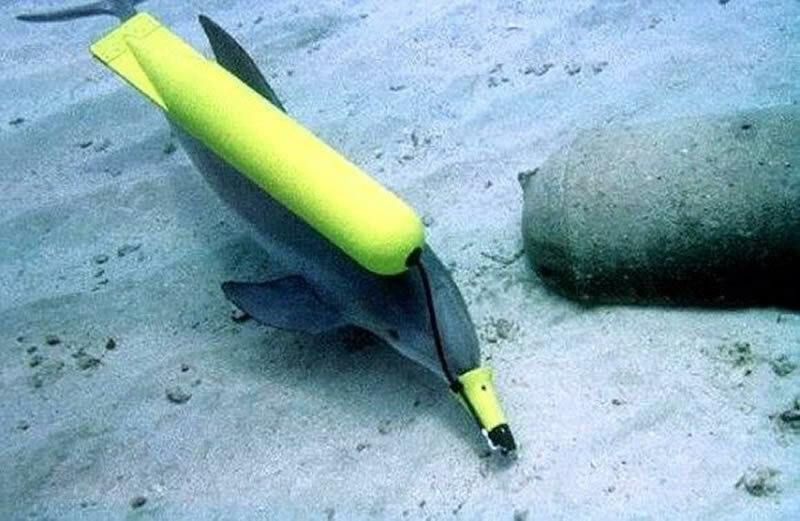 ＊Some of the cetaceans sold alive were re-sold to the military institutes, then trained to be used as dolphin bombs or used for animal testing.